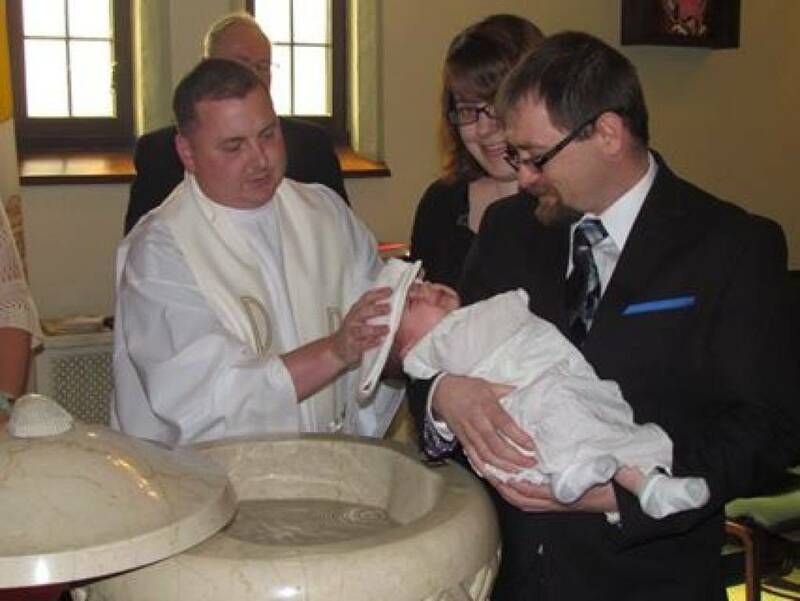 The sacrament of Baptism is the first of the seven sacraments not only in time (since most Catholics receive it as infants) but in priority, since the reception of the other sacraments depends on it. It is the first of the three Sacraments of Initiation. The other two being the Sacrament of Confirmation and the Sacrament of Holy Communion. Once baptized, a person becomes a member of the Church. Christ Himself ordered His disciples to preach the Gospel to all nations and to baptize those who accept the message of the Gospel. In His encounter with Nicodemus (John 3:1-21), Christ made it clear Baptism was necessary for salvation: "Amen, amen I say to thee, unless a man be born again of water and the Holy Ghost, he cannot enter into the kingdom of God." For Catholics, the sacrament is not a mere formality; it is the very mark of a Christian, because it brings us into new life in Christ. The removal of the guilt of Original Sin. The remission of all punishment that we owe because of sin. Becoming a part of the Church. Enabling participation in the sacraments. Parents wanting to have their child baptized need to attend our Baptismal Session before arranging for the Baptism. Please call the Rectory at 330-928-2173 for more information on sessions.